Perfect for outdoor kitchens . 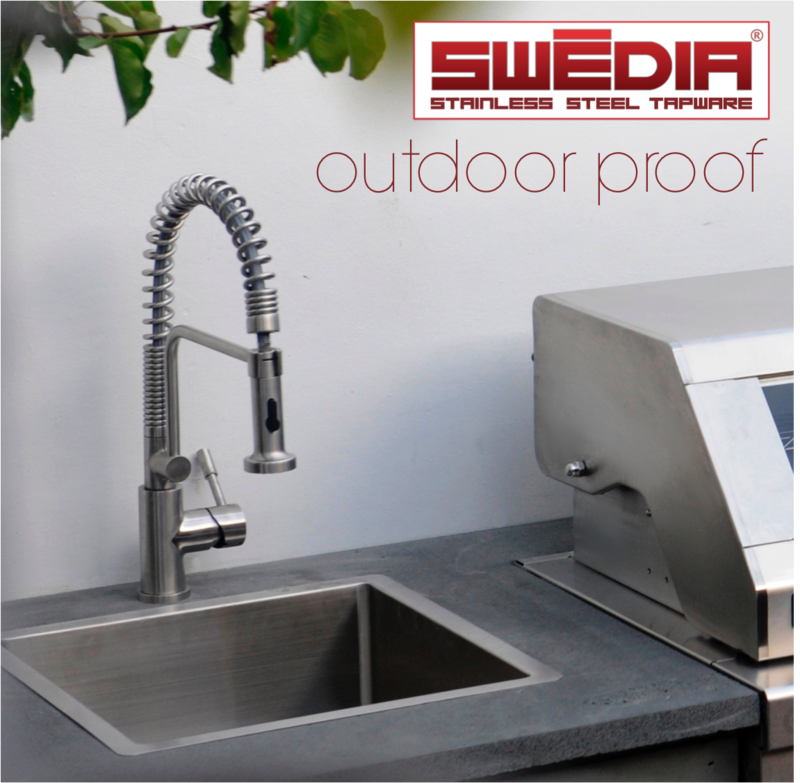 . .
Swedia tapware is perfect for your outdoor kitchen. The solid stainless steel construction means it has natural protection against the elements with minimal care (see the care instructions here). The natural protection of stainless steel can be compromised by harsh chemicals and abrasion so it is important you are aware of the simple steps to keep your outdoor tap as good as new. Even full featured multi-function mixers with retractable hoses and dual spray nozzles (such as the popular Signatür model in the image on the right) can be installed safely in the outdoors The stainless steel used by Swedia is the same used in very high-end commercial sinks and barbeques. It boasts a perfect balance of hardness and anti corrosiveness. The brushed finish is popular to match with the typical brushed finish of modern sinks and cooking appliances - although the polished finish is perfectly fine to be installed outdoors too. Enjoy the outdoors with Swedia! So start enjoying the outdoors with the full benefit of a Swedia Stainless Steel Kitchen Mixer. Now there is nothing you cannot achieve in your outdoor kitchen!